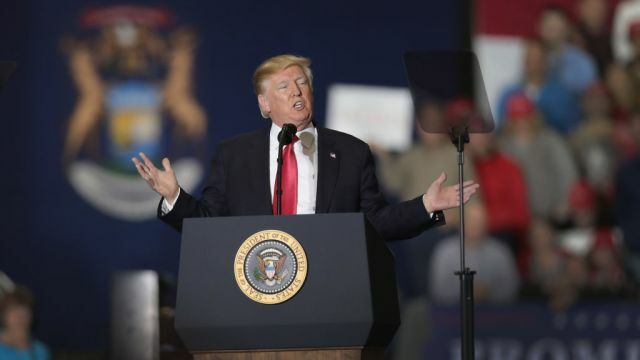 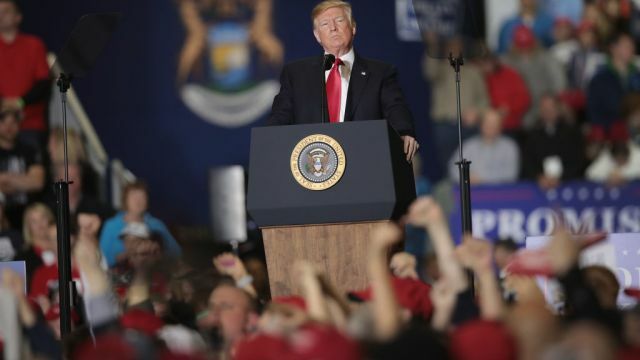 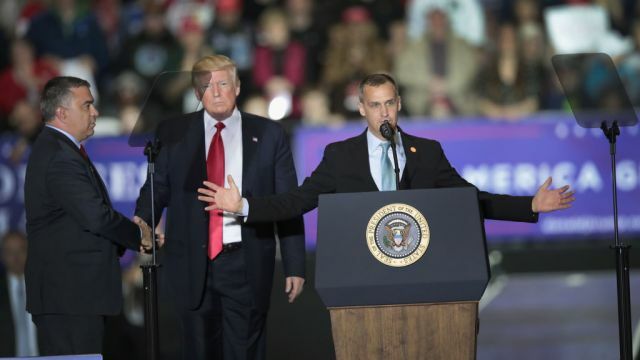 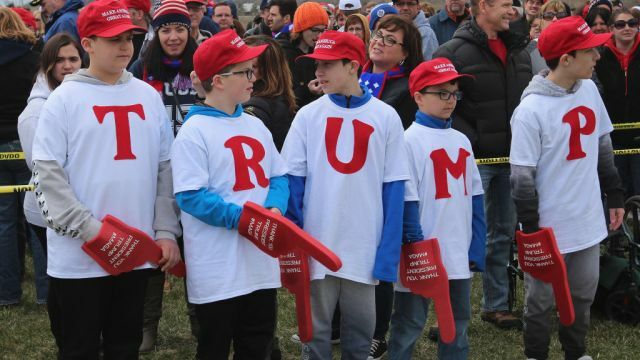 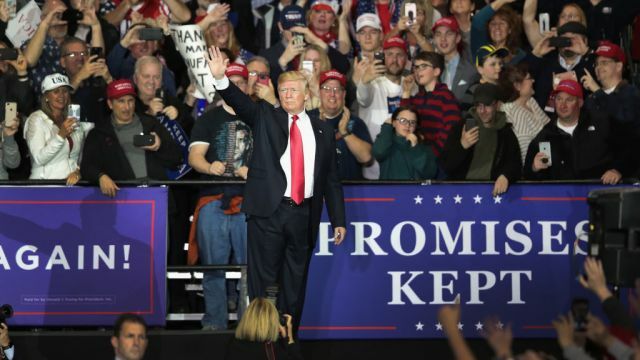 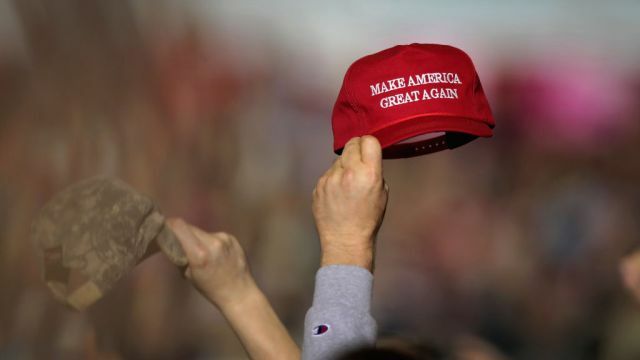 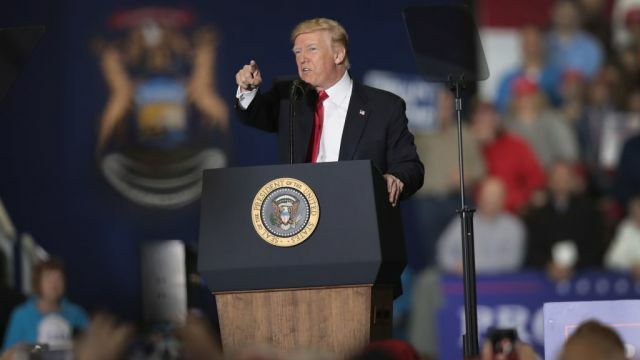 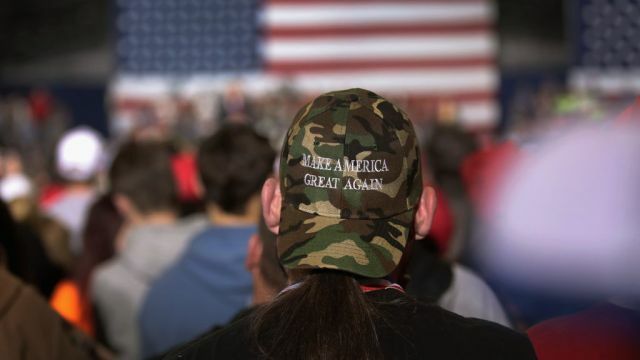 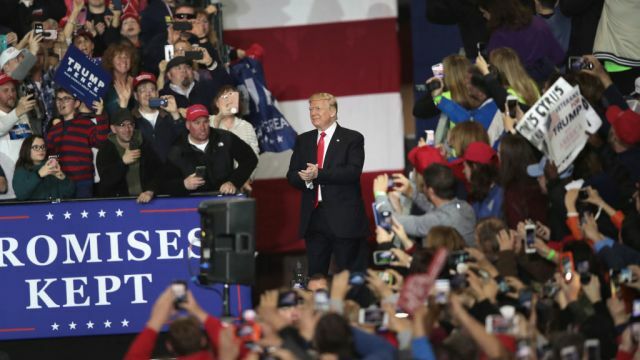 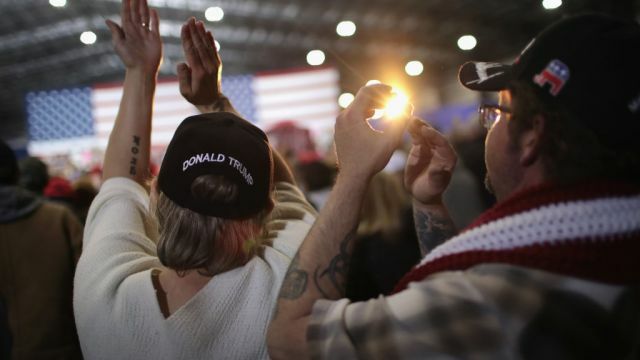 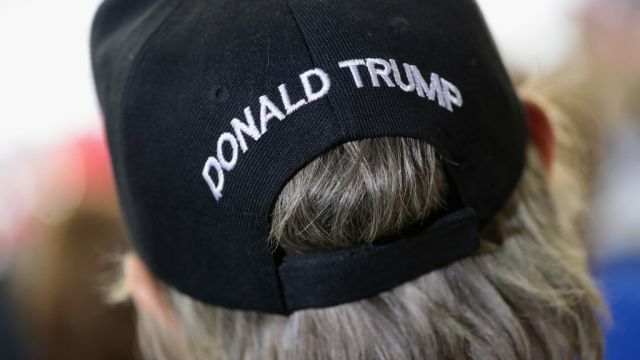 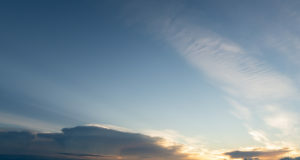 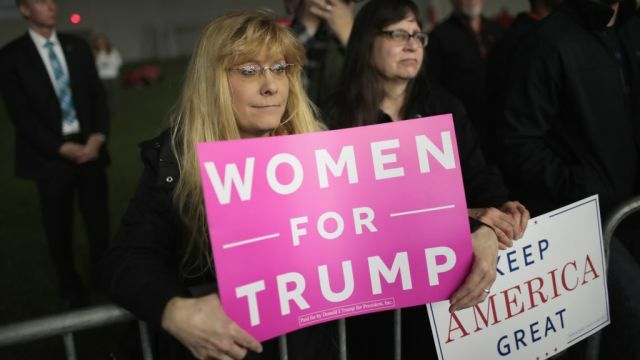 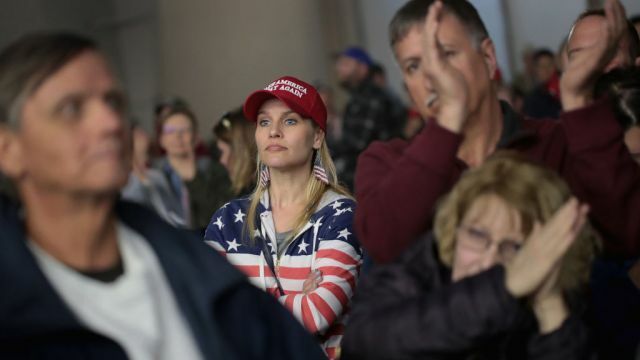 WASHINGTON TOWNSHIP, Mich. (AP) – President Donald Trump took aim at familiar political targets and added a few fresh ones during a campaign-style rally in Michigan, an Upper Midwest state so crucial in sending him to the White House. 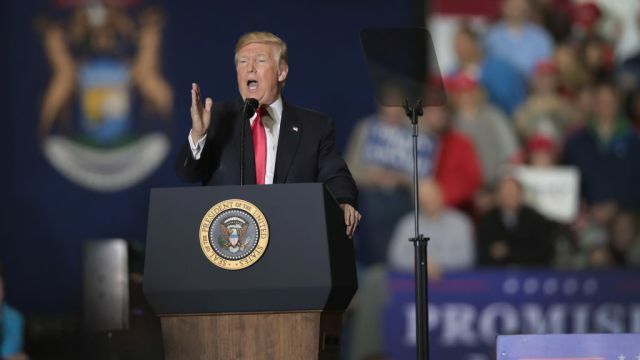 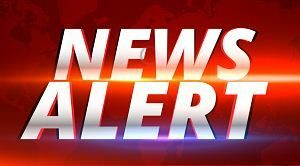 Earlier Saturday, Trump tweeted criticism of Democratic Sen. Jon Tester of Montana over his role in the failed nomination of White House doctor Ronny Jackson to run the Department of Veterans Affairs, calling for Tester to resign or at least not be re-elected this fall. 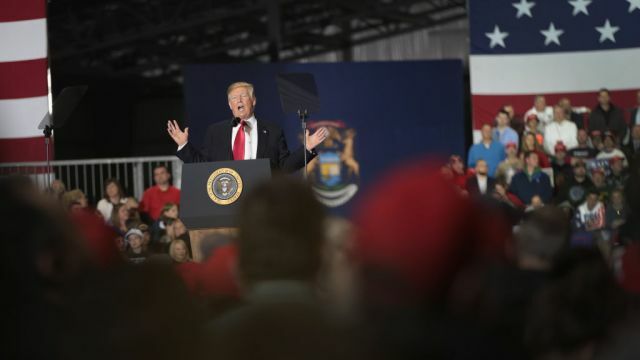 In Michigan, Trump railed against the allegations Tester aired against Jackson and suggested that he could take a similar tack against the senator. 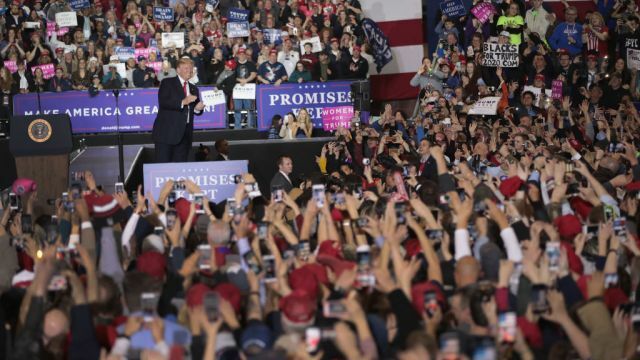 Trump chose a friendly venue for his rally, which not coincidentally came the same night as the annual White House Correspondents’ Dinner. 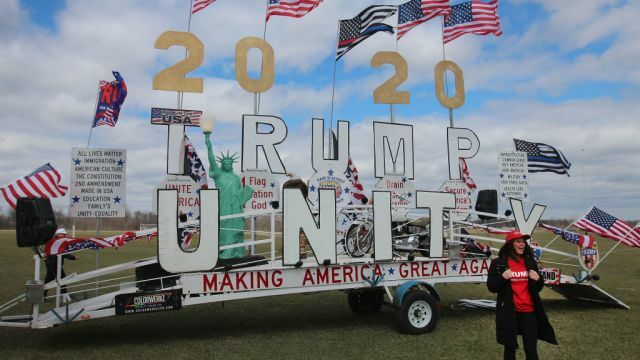 He skipped the dinner last year. 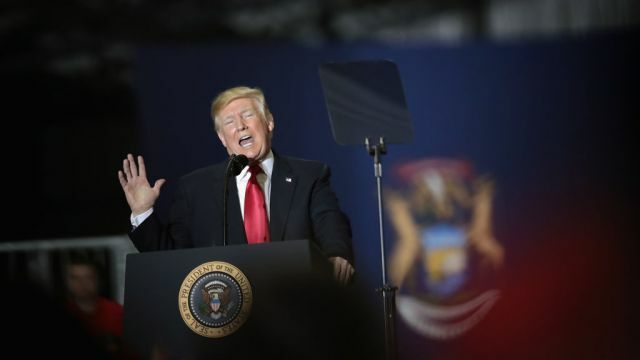 “While Washington, Michigan, was a big success, Washington, D.C., just didn’t work. 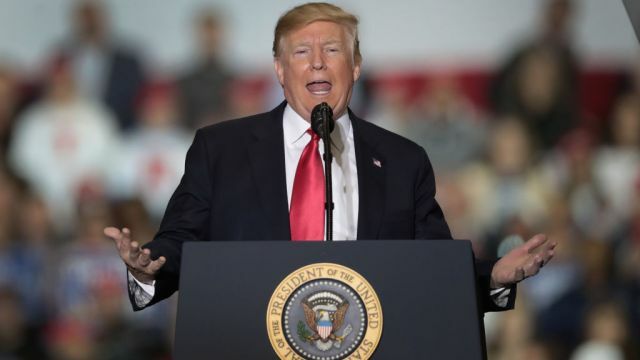 Everyone is talking about the fact that the White House Correspondents Dinner was a very big, boring bust…the so-called comedian really ‘bombed,’” Trump asserted on Twitter. 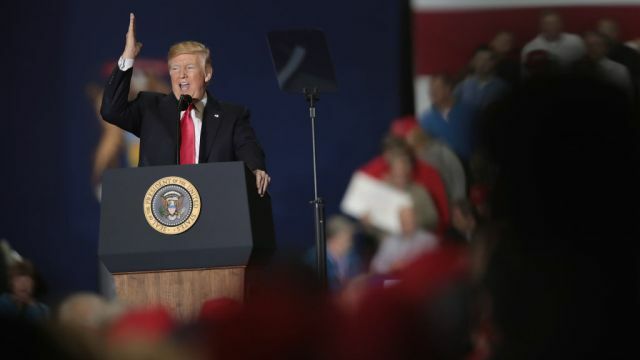 Trump, in his remarks at the rally, repeatedly weaved back into immigration and his support for a border wall. 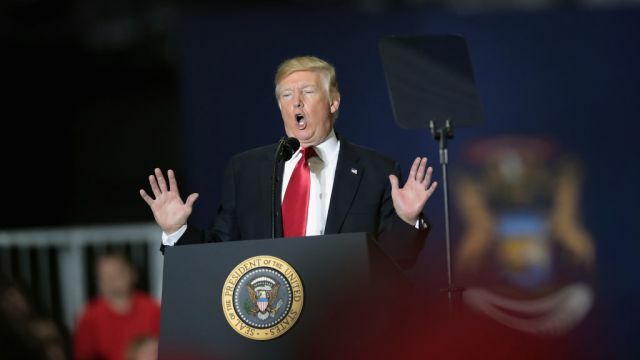 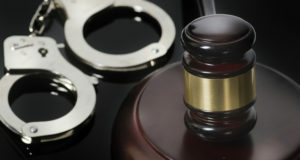 He accused Democrats of not wanting to secure the border and keep violent criminals out of the country.